This term I’ve been working with Year 2 at Miers Court Primary Schools. The theme was Medieval Castles and I’m so proud of how hard both groups have worked, it’s been fantastic. We began learning castle parts using our warm up and cool down. Each castle part (battlements, buttresses, ramparts, drawbridges, the moat and the great hall) had its own movement, stretch or shape and we even had a Jester dance move and bowed when The King arrived. We played a game to make freeze frames about different parts of the castle and used the countdown music to make it more exciting. Soon we had plenty of movement material all about castles! We did more than that though. Each lesson I taught the dancers a little section of Tudor themed dances. In the end we had The Pavanne, The Chain and The Circle. I showed them pictures of the clothes the Very Important People (VIPs) might wear to dance in the castle and they learnt how the clothes would affect their movements. 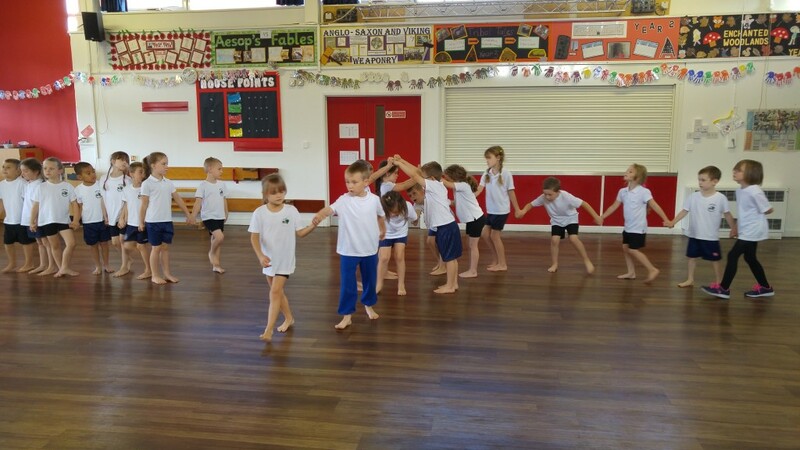 Towards the end of term we put everything together to create a dance. They’d worked so hard that it was a lot longer than I’d expected. We had a practice show which was filmed (the video is below!) and some school staff watched too. Miss Bulldock nearly cried because she was so proud of her class! The last week was show week! We had a short rehearsal and then performed to adults and some younger brothers and sisters. Some school staff even crept in to watch. 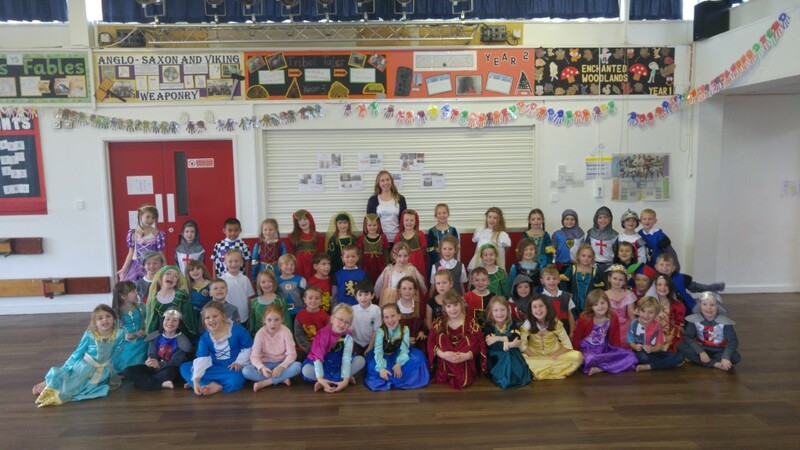 The performance was made extra special because the children had dressed up in Medieval costumes for the day. They’d had a banquet in the morning, made castles and then came to dance. A busy day! I’m really proud of both classes. 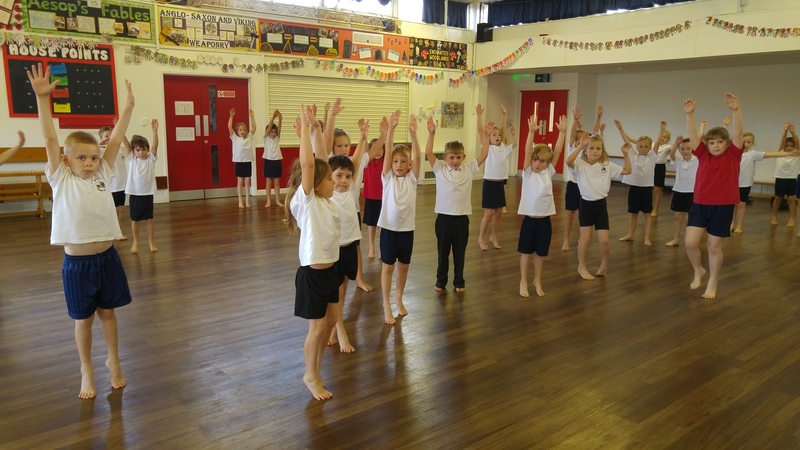 They worked really hard to choreograph and perform their dances brilliantly then they sat and watched each other as though they were a perfect, grown up audience. Here’s the video of one of the rehearsals. It was automatically created using some of the photographs and footage from that day!